There are two kinds of people in this world – those who have children and the ones who have yet to become parents! In order for you to know what parenting is really like, you need to experience it! There is no book or educational movie that could even begin to describe what it actually is to be a parent, and if you have friends who already have kids, they could share their experience. The list below is also something that can show you what parenting might be like, and you need to know that it can be extremely hard sometimes, but there is a lot of fun involved, too! If you think that kids are sometimes unreasonable, then you are right! Well, of course they are! 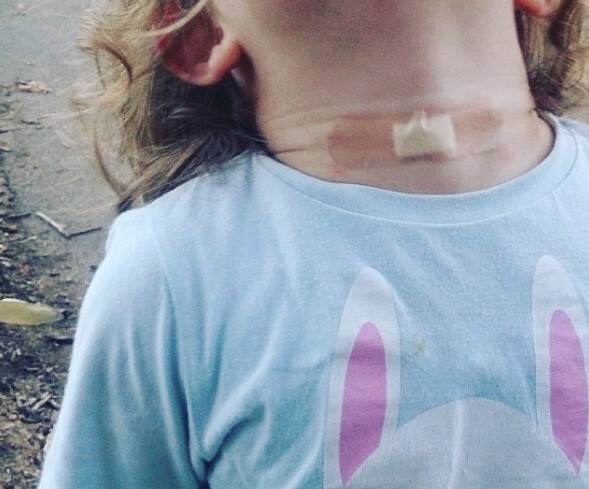 Every kid is capable of throwing a temper tantrum for literally no reason at all, and this is what the case here is! We find it really funny that the kid was upset over a bizarre thing like that! 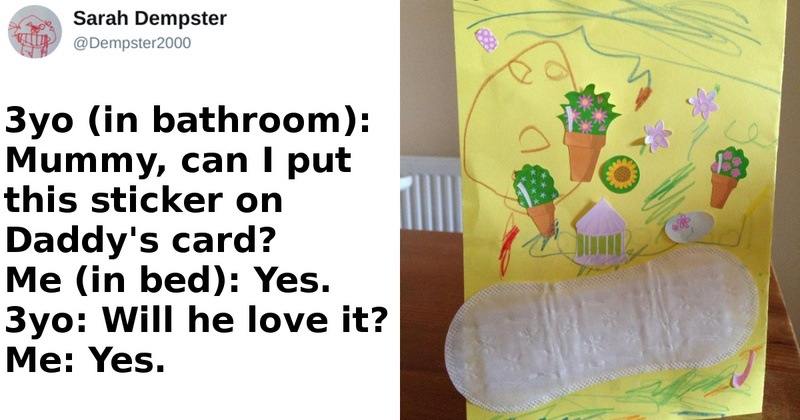 It seems that kids come up with all kinds of weird ideas! This boy decided that he did not want to go wherever he thought his parents were taking him. 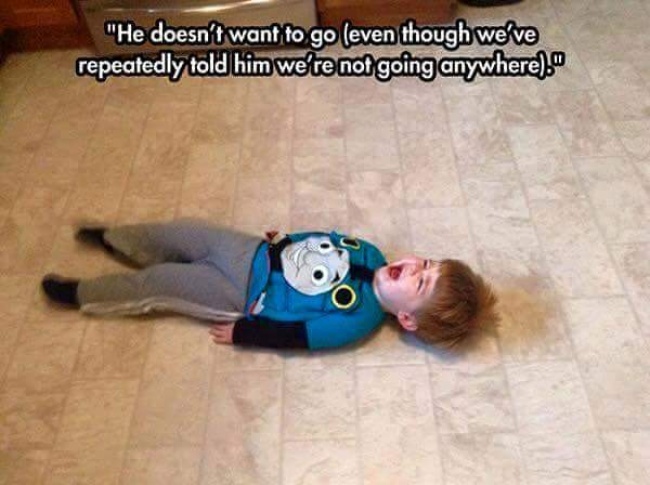 Even after they told their son that they were not going anywhere, the kid continued with the temper tantrum. It seems that if a toddler comes up with something, it needs to find its place in space and time, and in this case the boy had to get upset despite it was meaningless. Of course, it takes a different cheese-related reason for an adult to become upset, like having someone eat your cheese sticks before you got the chance to snack on them. 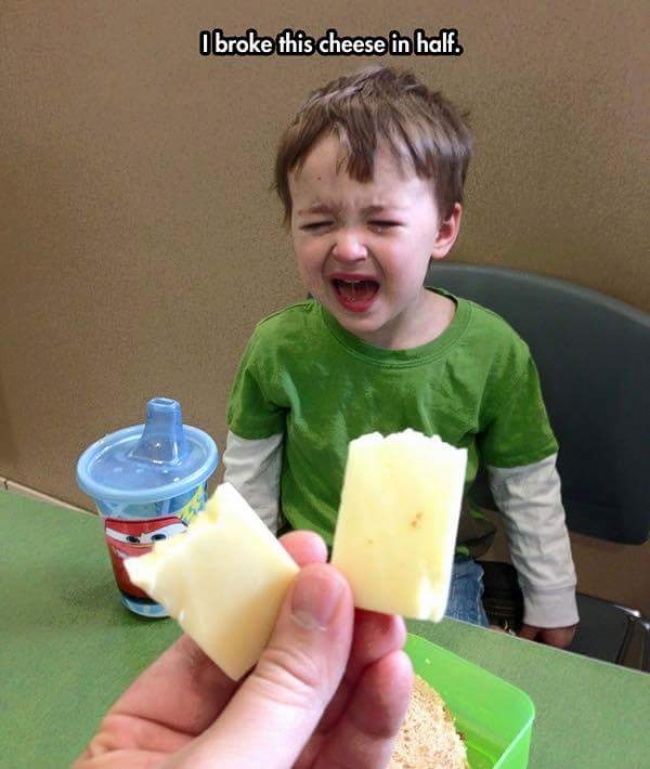 In this case, however, nobody ate this kid’s cheese. All that his parent this was to take a piece of cheese and break it in half. The kid instantly decided that it was not the right thing to do and got really upset! You can easily realize what people think about you by just seeing their facial expression. In this case, the kid simply asked the person who took the photo for some Skittles because he saw the bag. However, they were all gone and the person had no way of offering the kid candy. 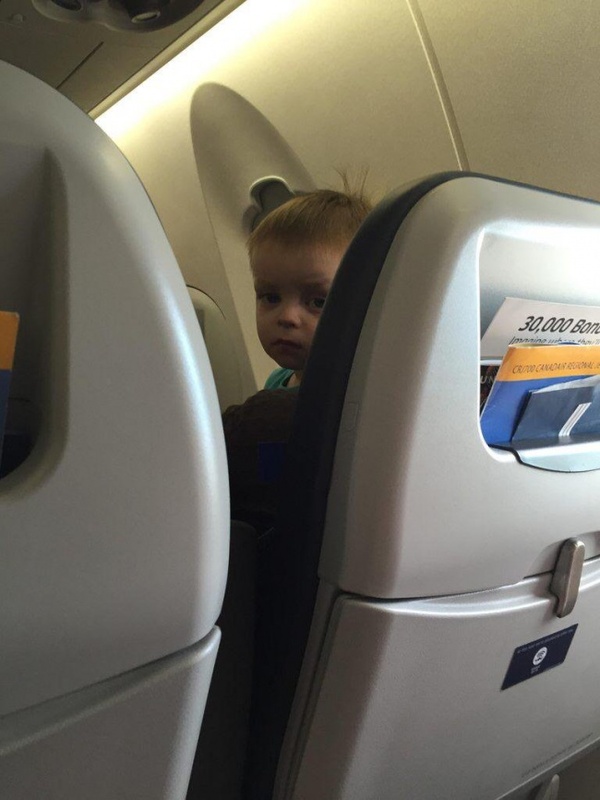 The boy was not happy about it and decided to punish the person by staring at them like that throughout the entire flight. Well, sometimes seeing the things you child do can bring you a lot of entertainment. 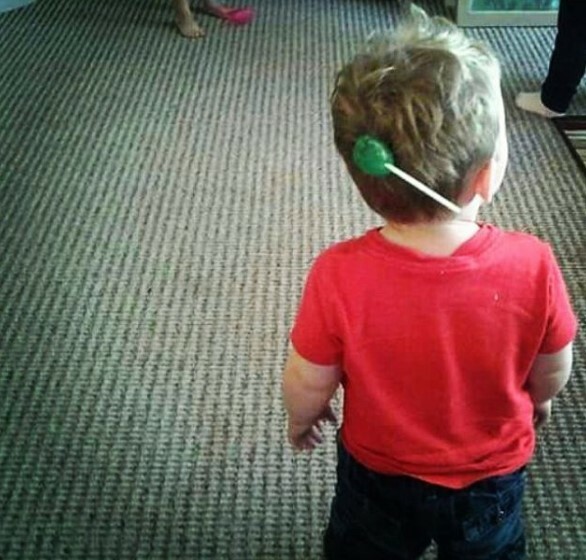 In this case, the toddler you see was really mad because he was unable to find his lollipop. Of course, the little boy was unaware that the treat got stuck on the back of his head, and he probably spent a lot of time searching for it, which made him even more upset! This is the sweetest thing we have seen lately. 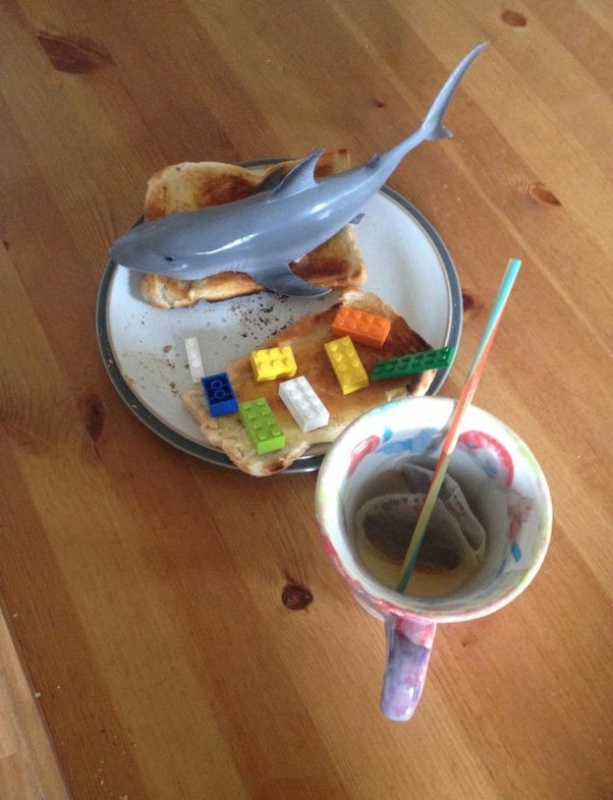 A kid wanted to make his daddy the best breakfast he eve tasted, and you can see that the toddler put in a lot of effort in doing so! Unfortunately, most of the ingredients are not edible, but it is the thought that counts! 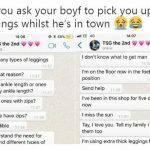 We are sure that the father was really touched about all the attention! We guess that there might be exceptions, but not in this case! 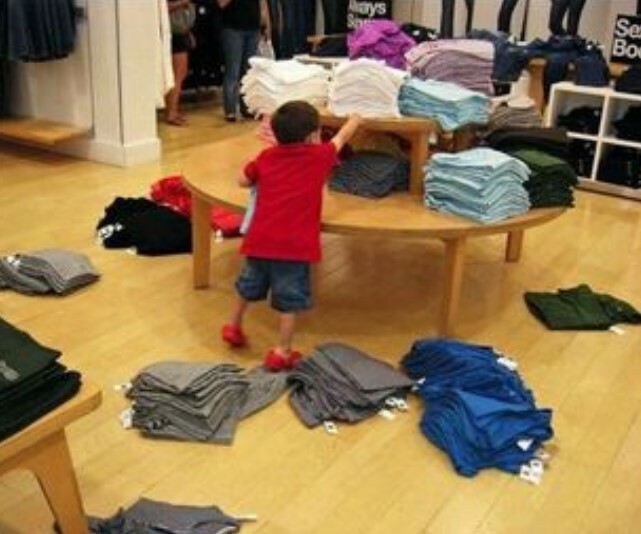 It is easy to see that this toddler is on a mission to make a complete mess and throw around every piece of clothing he is able to get his little hands on! His mom surely regretted bringing him along and she would probably not make the same mistake again. Here is another funny image that shows what parenting is like. 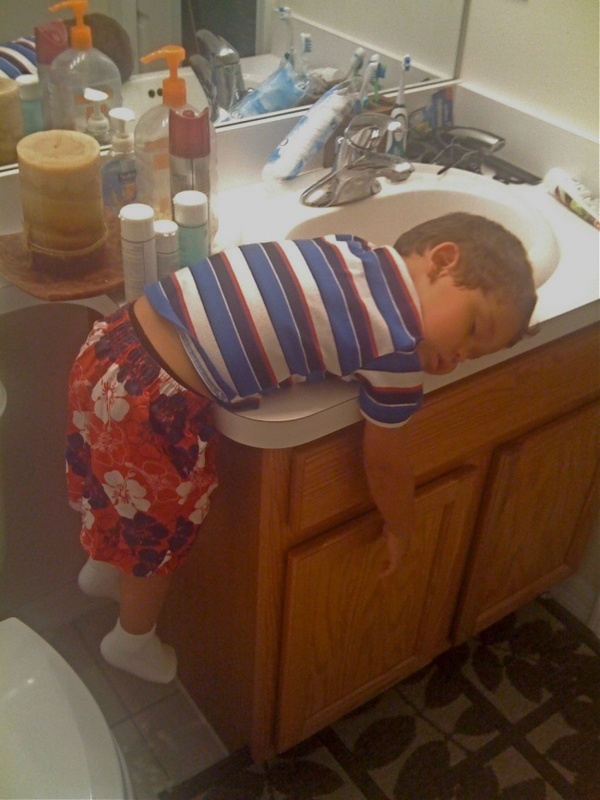 This kid was so tired of playing and running around day that he fell asleep on the sink! His parents probably laughed about it, and it is actually cute to see a kid sleeping like that. This is one of those moments when parenting is not that hard and it brings huge smiles. Kids literally soak up all the new information they receive like a sponge and once they see or hear something, they accept it immediately. The trouble is that sometimes they accept it in a literal way and give an entirely new meaning to something they saw. In this case, one kid remember that their parents told them Band-Aids cured everything, so the kid tried to heal a sore throat with one! 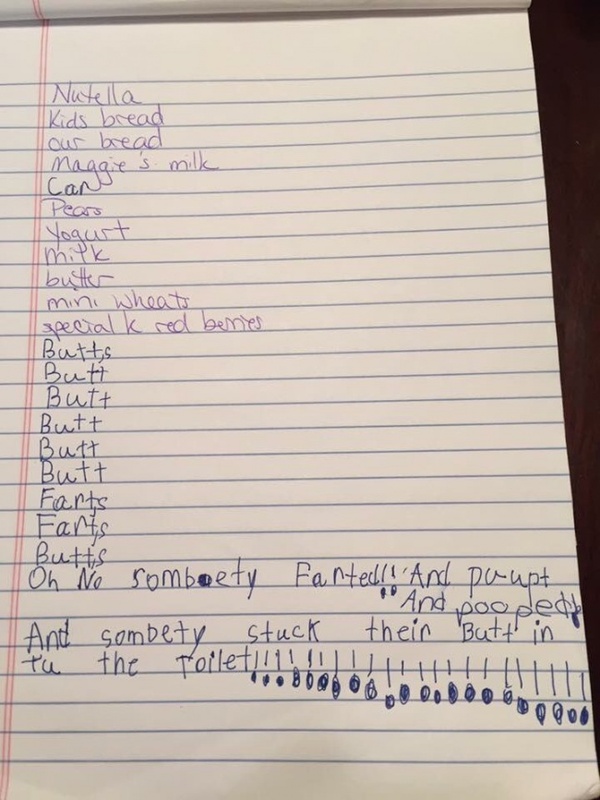 One kid insisted really hard to help their mother complete her monthly grocery list and she actually decided to let them. 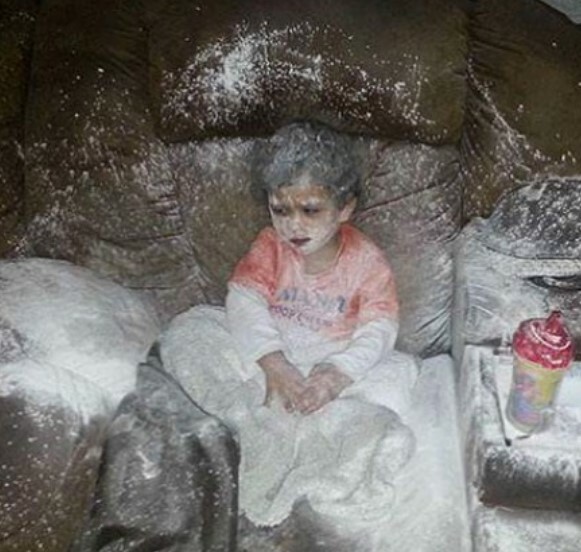 Well, it is more than obvious that it was not a great idea, but we guess that it was a lot of fun for the kid. It was also funny for their mother, too, and we are sure that she laughed out loud when she saw it! We really loved the fact that this kid looks exactly like the little prince, but the thing we loved even more is the way he reacted! 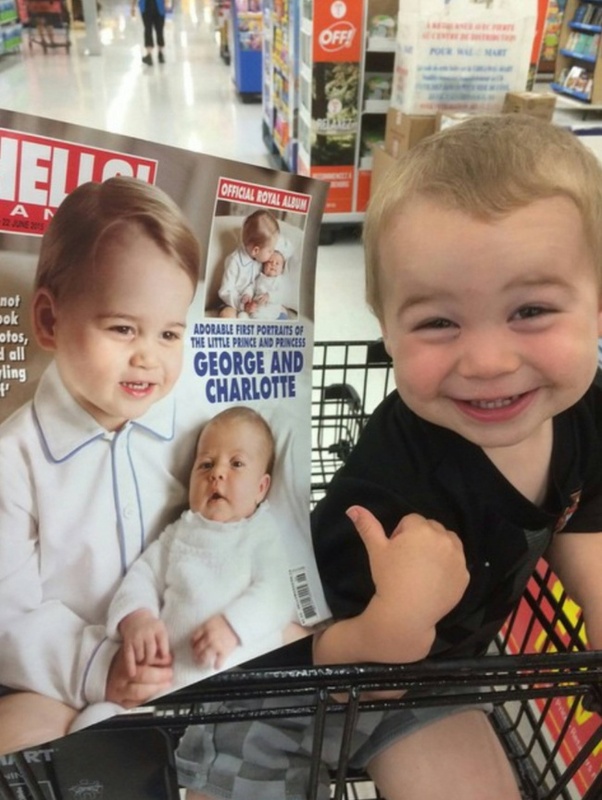 You can see just how proud and happy he is after he realized he was the spitting image of a royalty! 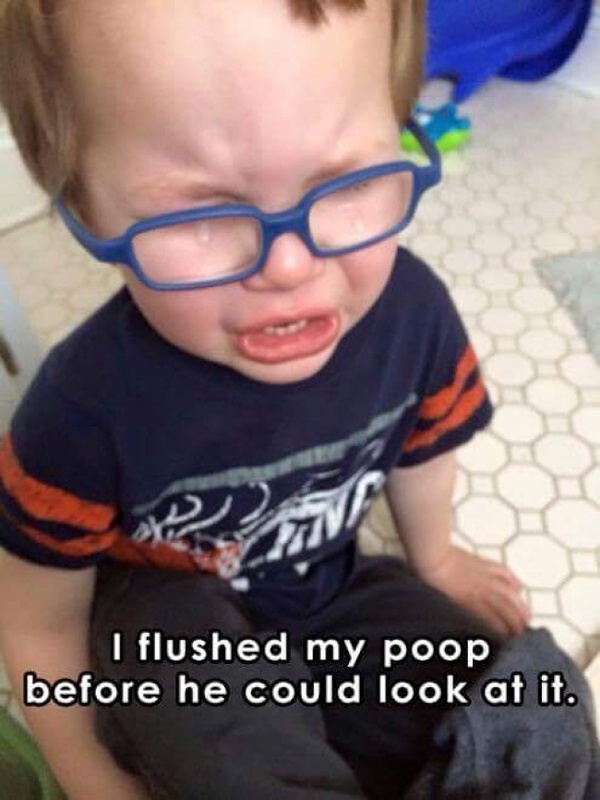 We guess that adults would react the same way if this happened to them, but they would not be this cute! We are sure that kids are able to feel the purest of feelings and they always find a way to express them! 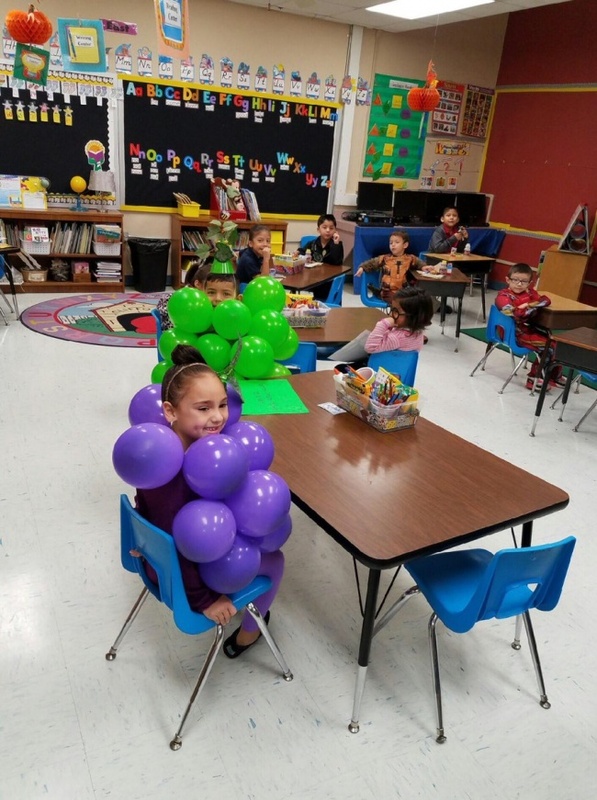 In this case, one boy had a crush on a girl and he knew what kind of costume she was about to have for an upcoming party, so he really insisted on having the same costume made for himself! As you can see, his crush is happy about the end result! It does not take much for a kid to feel happy! All it takes is actually allowing them to do whatever they had in mind! 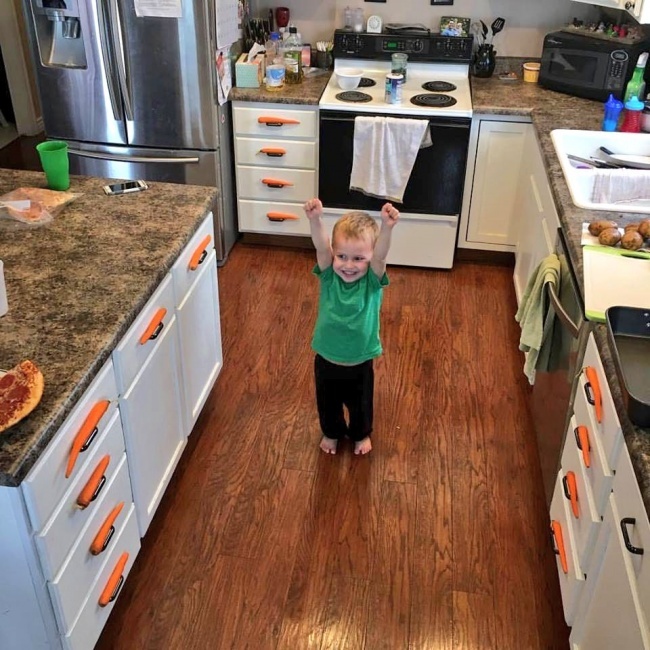 In this case, one cute toddler decided that he should decorate the kitchen, and he chose the only possible material he had on his disposal! He did a really good job and it is obvious how happy he is with the end result! It might seem weird at first, but this is extremely relatable. 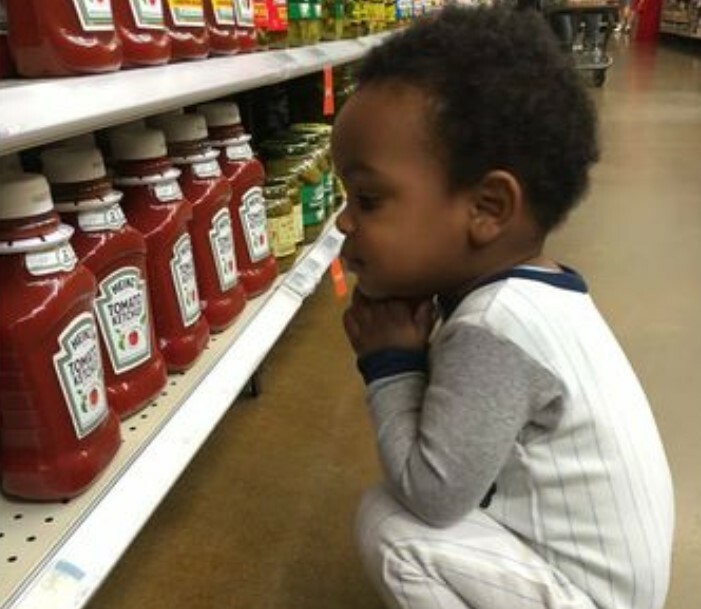 This kid loves the appearance of ketchup bottles and we know that feeling, because we also love the shape of these bottles as much as we love their contents! People often fall in love with different shapes for no reason, and it is actually curious to see one’s preferences! 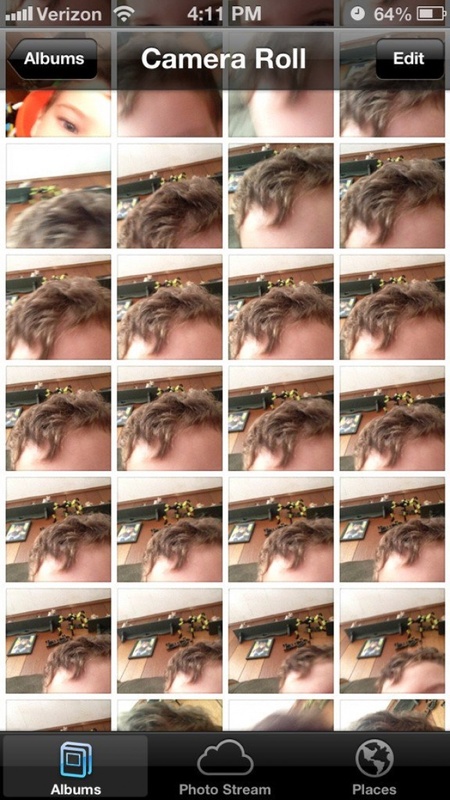 As you can see, one kid used his mom’s phone as a toy, and now the phone is filled with meaningless photos! This actually happens all the time and most parents would relate immediately after seeing this image! Kids nowadays are able to learn how to work with tech gadgets before even learning to walk, which is actually kind of alarming. It is certainly not a healthy habit for a kid to grow up while constantly holding a smartphone or a tablet. Well, there you have it! This is an absolute classic when it comes to kids making a mess. 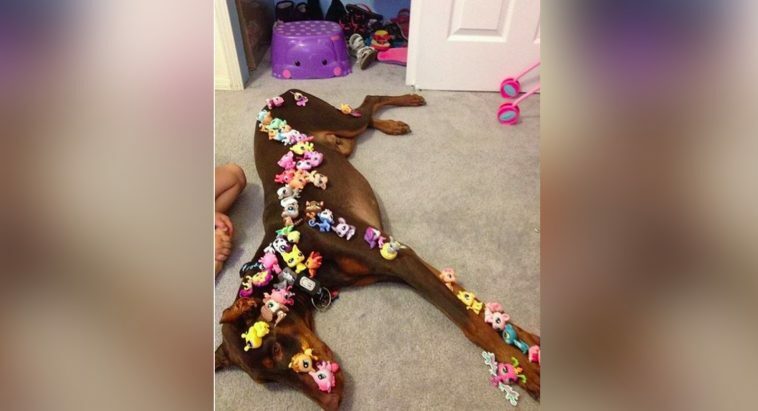 This could happen if leave your toddler without supervision for even a few moments! This boy was able to get his hands on the powdered sugar, and the rest is history! 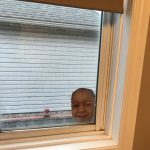 We can all see the result, but one thing is for sure here – the kid was caught in the act and if we can read his face correctly, he is already sorry for what he did after his parents scolded him for it. Kids will always do such things and it is an important part of their childhood. When e three-year-old toddler wanted to make a card for their dad’s birthday, you should definitely be there for supervision; otherwise things like this could happen. The mom did not go to see which the sticker the kid referred to was, but she confirmed that daddy would love it, so the kid put it on the card, and we are sure he had the biggest smile on his face for different reasons than the kid thought!